The Sony Reader has been given a massive boost after a deal was signed with Google that brings a host of classic books to the eBook. The deal brings half a million books to Sony's device which has been put under pressure by the arrival of the second generation Kindle from Amazon. Google has been scanning books for its Google Book Search project. But will now provide those titles which are out of copyright for the Sony device. 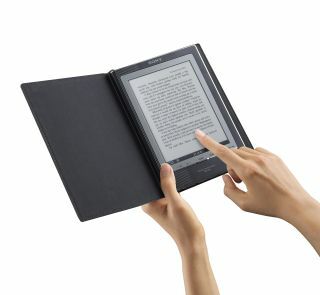 The host of books – which join 100,000 titles already available – will be available to download from Sony's eBook store. The financial details have not been made available, but with 600,000 titles, the Sony Reader has now overtaken the quarter of a million books available through Amazon. EBooks are beginning to make an impact on the market although they remain very much a minority device. Publishers are embracing the idea of allowing people to buy and download versions for their electronic devices, as portable and connected gadgets become more widespread.